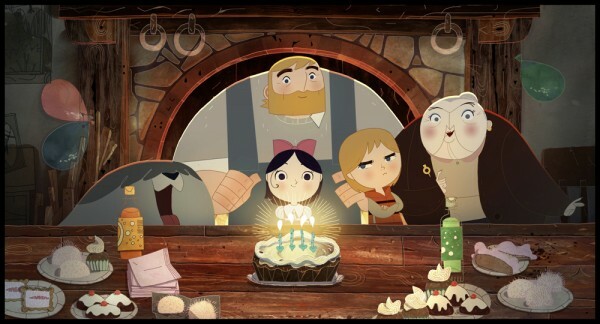 An enchanting tale of grief and loss, magic and love, Song of the Sea (2014) is another animated work of art from director Tomm Moore (Secret of Kells). Utterly mesmerizing, the film draws you in as the line between reality and fairytale is gradually blurred, and then erased entirely. 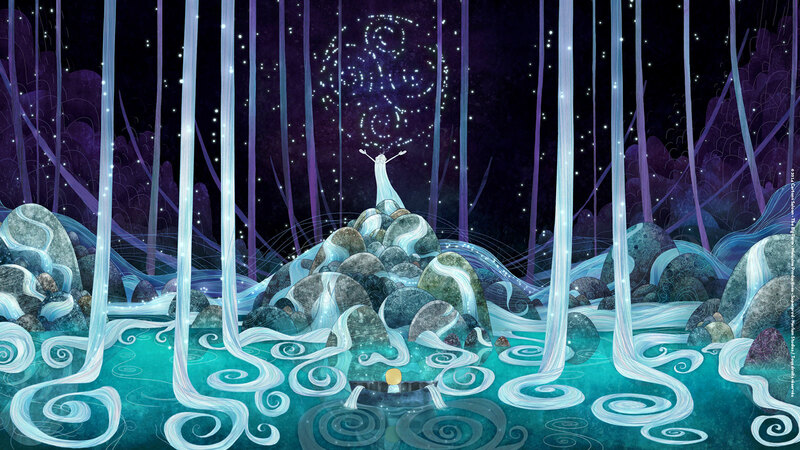 Award-winning and Oscar-nominated Song of the Sea is a magical and moving cinematic masterpiece. In the dream-like, Chagall-esque opening scene, Ben (voiced by David Rawle) is a happy little tot, living in a remote lighthouse with his mum and dad, eagerly awaiting the arrival of a new baby sister. But Ben ’s mother is suddenly taken ill, and Ben’s sister Saoirse arrives early, and his mother doesn’t return home. On Saoirse’s sixth birthday, everyone is excited to celebrate—except Ben. He keeps his sister at a distance and clings to the stories and songs his mother shared with him when he was little—and also to his best friend in the shape of a large sheepdog named Cú. That night, Saoirse sneaks out of her bed to play with Ben’s conch shell—a gift from their mother. When she plays it, something magical begins to happen in the air, and Saoirse is led to discover a wonderful secret in her mother’s closet: her selkie coat. What is a selkie? Selkies are figures from Irish and Scottish folklore—women who transform into seals. When Saoirse dons her selkie coat and enters the water, she transforms into a frolicking seal. But when her grandmother finds Saoirse washed up on the beach amd sound asleep, Granny is outraged and insists that the children come to stay with her in the city. The children’s distressed father (Brendan Gleeson), fearful of losing his daughter in the same way he lost his wife, complies. The children, however, refuse to stay long at Granny’s; they sneak out in order to journey home and be reunited with Cú, who was not permitted to accompany them to the city. They do not get far before they are intercepted by fairies (who comically remind one more of the seven dwarves than of Tinkerbell), who have long awaited the selkie who possesses the power to free them. The group is ambushed by minions of the Owl Witch—yet another figure from the fairytales Ben’s mother told him who turns out to be more fact than fiction. The Owl Witch takes away people’s feelings and turns them into stone. She thinks she is helping people—by taking away their pain and suffering. She is half stone herself, repeatedly taking away her own feelings—both good and bad. But take away our pain, and you take away part of what makes us human. For better or for worse, our emotions are part of what makes us human: love, joy, grief, and pain. God never promises a carefree walk of faith, but in John 16:33, Jesus says, “I have told you these things, so that in Me you may have peace. In this world you will have trouble. But take heart! 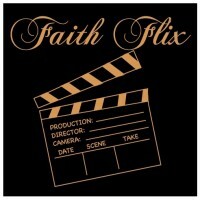 I have overcome the world.” Additionally, we have something to look forward to: “He will wipe every tear from their eyes. 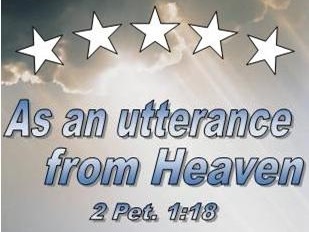 There will be no more death or mourning or crying or pain” (Revelation 21:4). 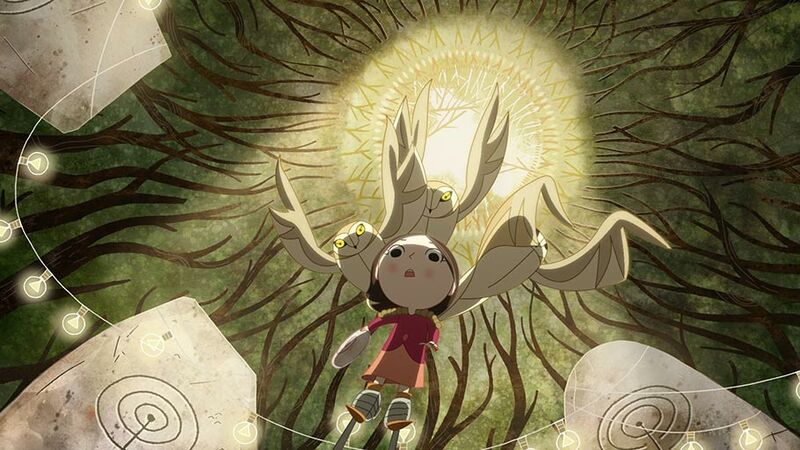 Director Tomm Moore was purposeful in his themes of grief and loss in Song of the Sea: “People, especially children, still need a way to think around loss.” For years after Ben loses his mother, both he and his father try to hide from the pain rather than deal with it head on. Avoidance of the pain does not solve anything, and only serves to estrange them from one another. Love and family are what help Ben, Saoirse, and their father through their own loss. The stories and fairytales that Ben remembers from his mother are of loss and of sadness—and they ultimately help him understand his sister, his world, and his own loss. 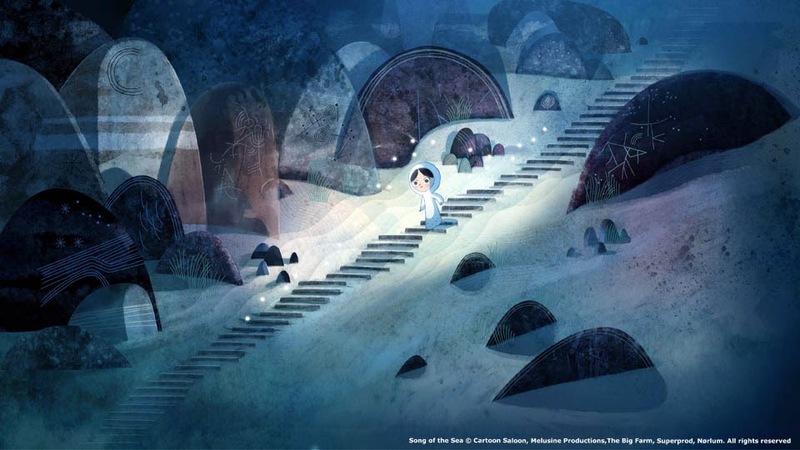 Like Secret of Kells, the artistry in Song of the Sea is stunning. The artwork is hand drawn and painted (rather than digitally rendered), which creates an intricate and richly textured modern fairytale world. The story is beautiful and moving, and the enthralling musical score, which is integral to the story, helps unite all of the elements into a cohesive whole. I highly recommend this captivating work of art for all ages, and for anyone who has experienced loss and grief. Painful as they may be, without them, we might as well be made of stone. It really is! I’ll admit, I’ve watched it several times now–and something new strikes me every time. Totally is. I rarely say this, but this movie is a piece of art. 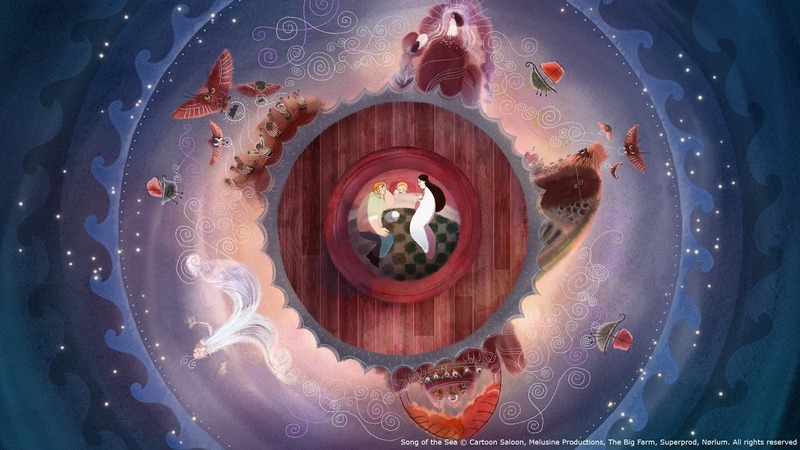 Secret of the Kells is one of my favorite movies, so it’s great that Song of the Sea is similar. 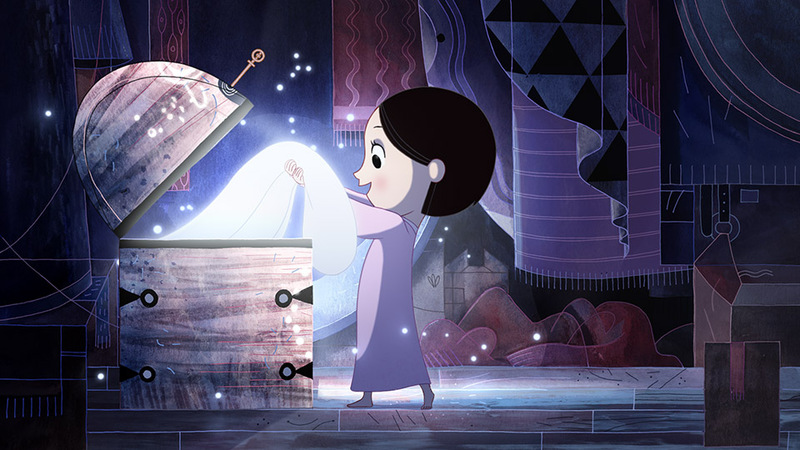 Grief is a pretty difficult subject for a kid’s film, but tackling it through fairy tales seems like a great way to present it. Loss and pain might not be pleasant, but they are unavoidable parts of life. 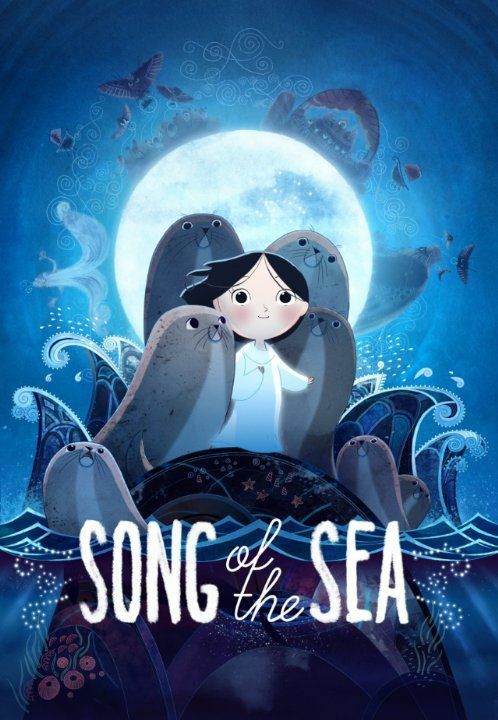 Can’t wait to see how Song of the Sea deals with it!